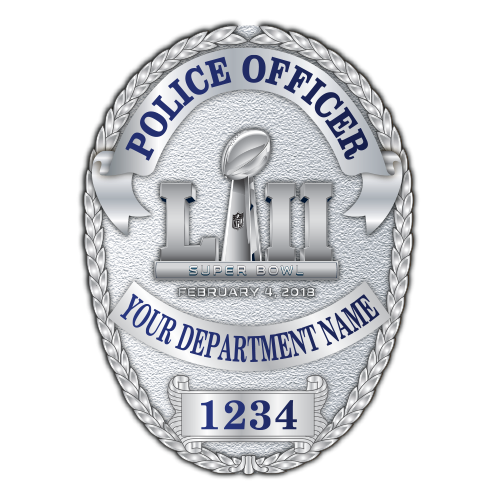 Participation in the Super Bowl 53 Badge program is subject to approval by NFL Security. 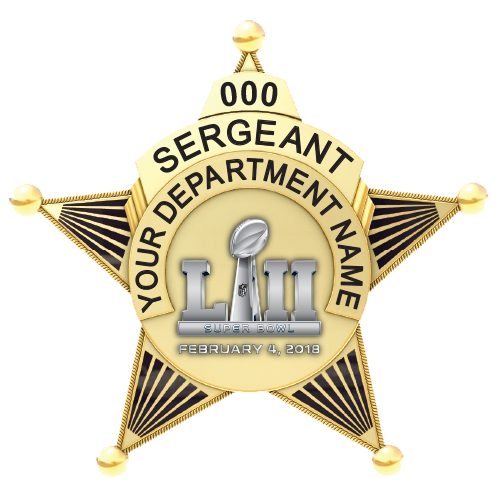 If you received an email from us letting you know that your department has been pre-approved to participate, please complete the form below indicating your departments desire to participate in the Super Bowl Badge program and select the badge styles that your department would like to use. 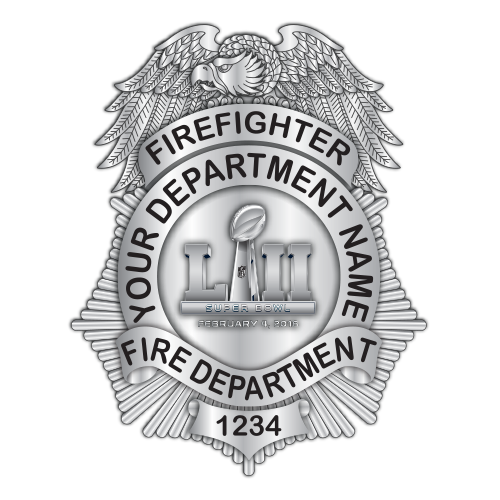 IMPORTANT: The Super Bowl LII Badge program does not require any department or government funds to participate. 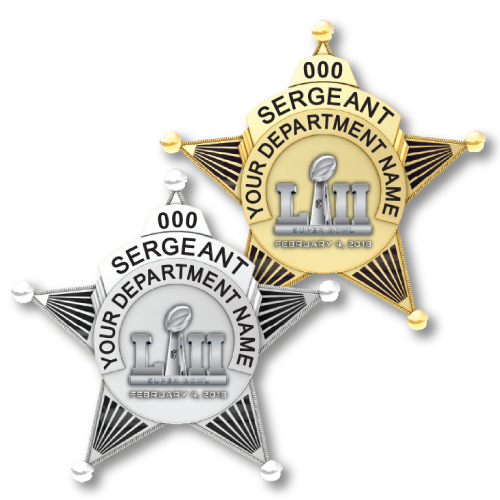 Badges selected by participating departments/agencies are made available for personal purchase by authorized officers and employees online. 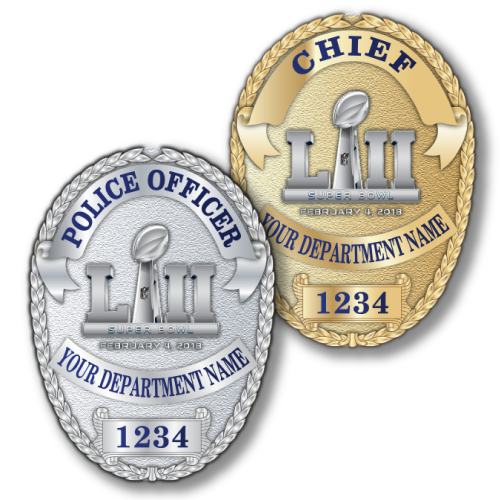 The badge designs shown below have been reviewed and approved by the NFL. All badges are Officially Licensed NFL Products. 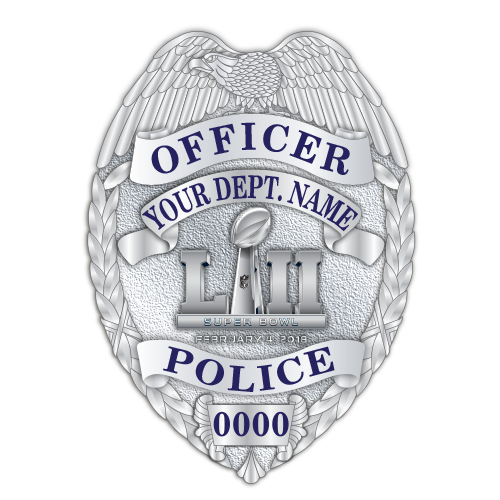 Badge designs are custom made for each approved department/agency. For consistency and security a point of contact is established at each approved department to outline the options that are offered to department members, and all badges are shipped to a designated point of contact at each department for distribution. Every authorized officer/employee can purchase their badge(s) individually online. 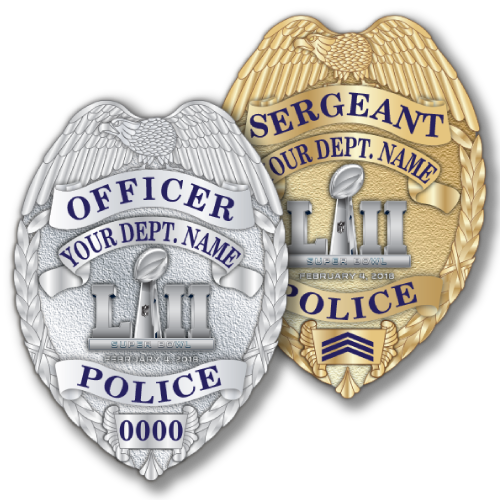 Badges are individually custom made for each officer/employee with individual ranks, badge numbers, attachments and many other options. For security all badges are shipped to a designated point of contact at each department for distribution. 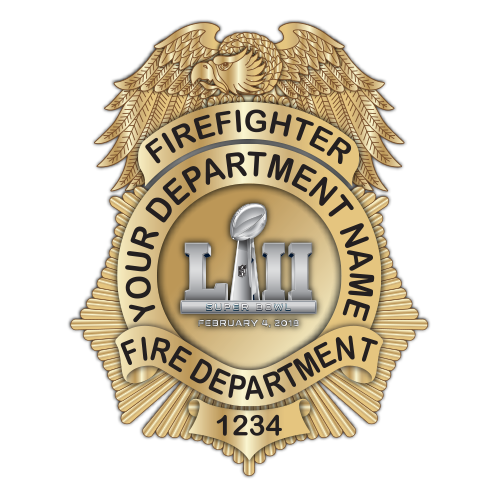 Complete the form below indicating which NFL approved badge style(s) your department would like to use. If your department has been pre-approved by the NFL to participate you can skip this section. If your department has not been pre-approved to participate by the NFL – Your request will be sent to NFL Security for review and you will be notified via email when your application is approved or denied. This process can take up to 30 days. IF approved by NFL Security we will provide you with forms to specify the details and options that you want for your Super Bowl Badges and will set up a section online where your personnel can go to place orders. 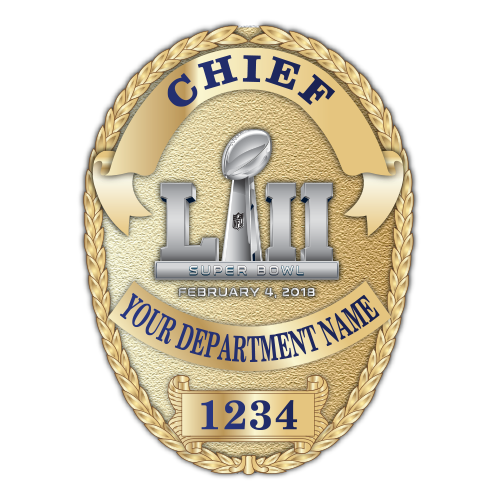 These NFL approved Super Bowl LII badge designs are custom made for each approved department/agency. 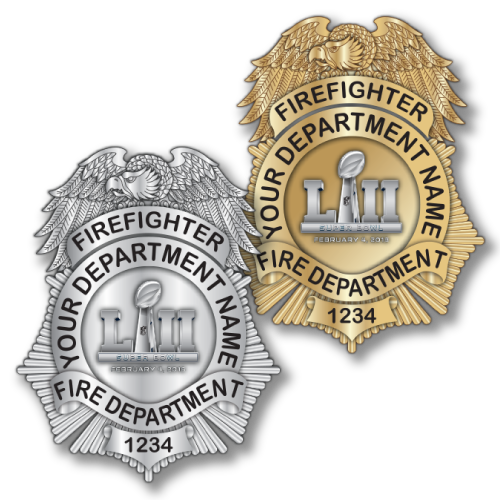 All badges are available in gold and silver finish and department members can specify individual ranks, badge numbers (if applicable), attachment, and many other options. For consistency and security a point of contact is established at each approved department to outline the options that are offered to department members, and all badges are shipped to a designated point of contact at each department for distribution. We are no longer accepting new requests to participate in the Super Bowl LII Badge Program. If you have previously submitted a request we are working on it and will notify you once we receive confirmation from NFL security. Thank you to all the departments that have participated in this years program!